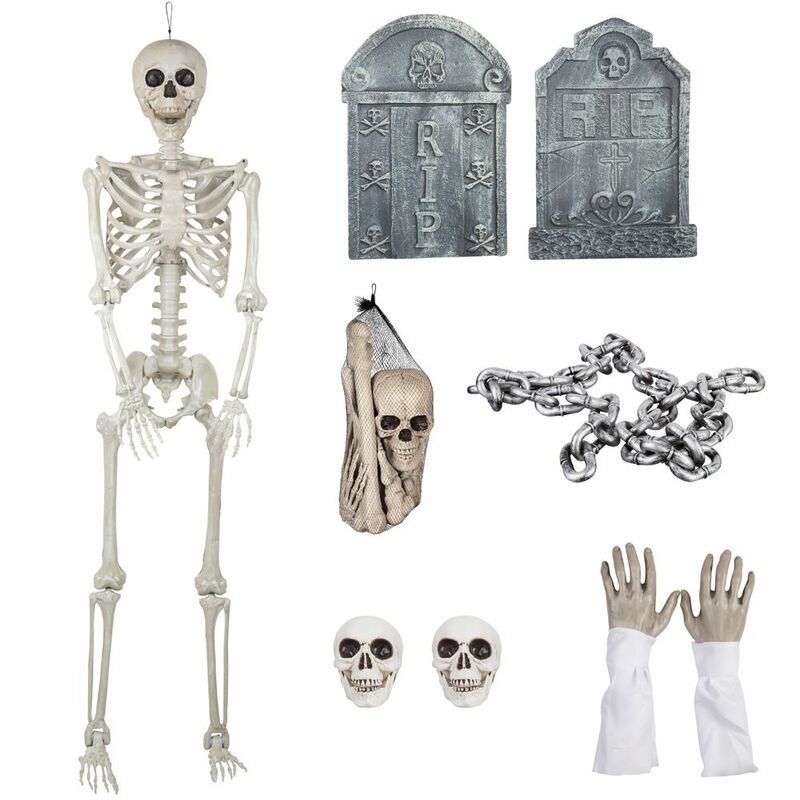 Frighten your guests and neighbors with this Cemetary Decorating Kit. The kit includes tombtones and creepy skeletons. It is perfect for haunted houses and parties. Perfect for haunted houses and parties. Halloween Cemetary Decoration Kit Frighten your guests and neighbors with this Cemetary Decorating Kit. The kit includes tombtones and creepy skeletons. It is perfect for haunted houses and parties.